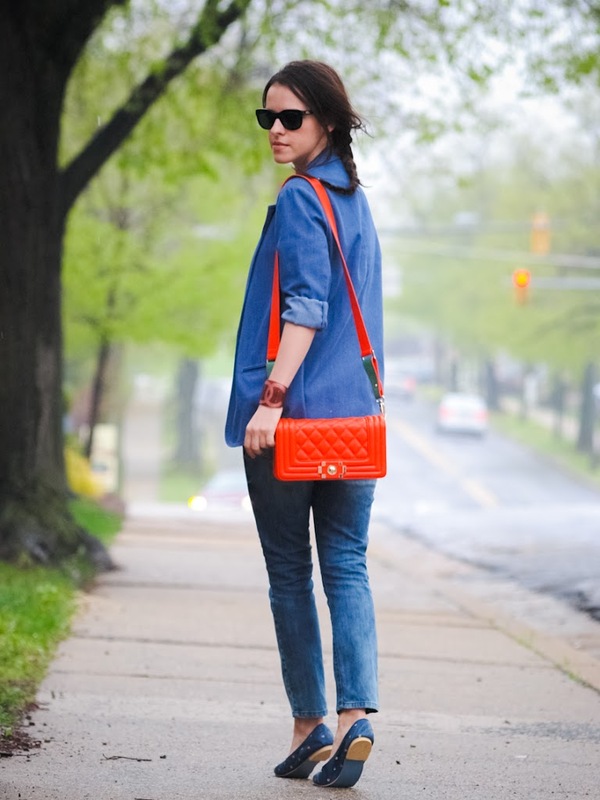 A denim look seems to be my choice for a rainy day and I usually love wearing this boyish combination with high heels. This time I said YES to the flats and I must admit it wasn't too bad... especially when you have to walk a lot. I am currently craving for this tee ! love how you styled it ! Such a cool outfit! Love all the details! Gorgeous color combination – It’s bold and fun, and totall unique. Adore that bag! This denim on denim outfits looks good on you! That blazer is sooo amazing! 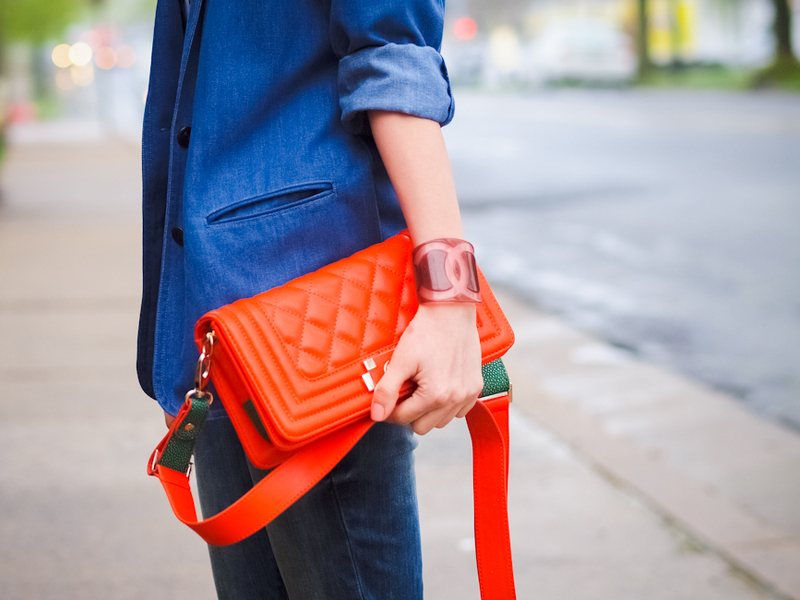 Love the pop of colour with the bag too! Love this super cool laid-back look. That blazer is awesome! Very nice blazer and flats! Love the pop of red! i love the quirky vibe to this outfit….quirky and chic is always good in my book! Love this whole look. 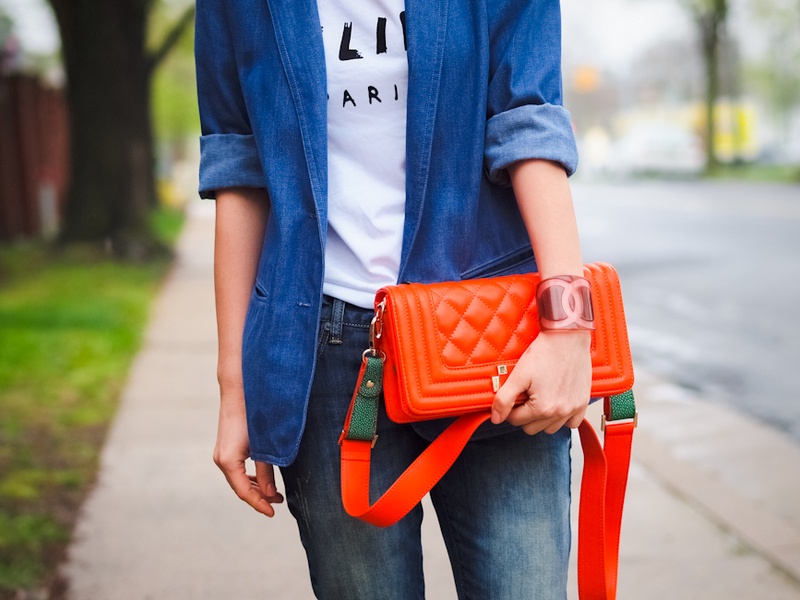 Drolling over the denim blazer! I love that tshirt!! i actually want to get it!! I looove this bag<3 I just found your blog and I really like it! keep up the good work! What a gorgeous color combination. The blue with the pop of bright red is amazing. Looking very pretty as always. Such a fun blazer! Love it!